These are instructions on how to upgrade Gitlab 5.0 to 5.1 on CentOS 6. This guide assumes you already followed my How to install Gitlab 5.0 on CentOS 6 or RHEL6 post. [root@localhost ~] service gitlab stop # Wait a few moments before continuing. Shutting down Gitlab took 30sec-1min on my system. # Wait a few moments before continuing. Shutting down Gitlab took 30sec-1min on my system. # You may not need to do this. I ran into some errors during my upgrade but my ISP was having problems at the time. It won't hurt to run these commands either way. # Search/Replace "sudo -u git" with "sudo -u $APP_USER"
All done! Hopefully this went slightly more smoothly for you then it did me. I noticed the first time loading Gitlab after the upgrade as a bit slow but things were nice and quick after that. Updated April 26th, 2013 – Added instructions for updating Gitlab shell. Looks like after I upgraded my phone to 10.0.10.822 (from AT&T) this issue has gone away. After some trial and error I might have found a workaround for this bug. Disable Memo and Task syncing. They don’t work anyway. After doing that my Exchange account survived multiple reboots. Then when I turned syncing them back on my Exchange account disappeared on a reboot. 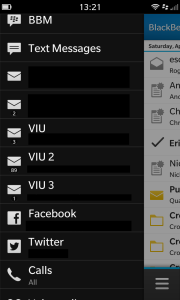 I just got a shiny new Blackberry Z10 from work for testing purposes and have run into a show stopping bug. We use Exchange 2003 at work and I setup my account on my Rogers Z10 (OS 10.0.10.85) using ActiveSync. Everything appears to be working just fine until I reboot the phone, pull the battery or the battery dies. 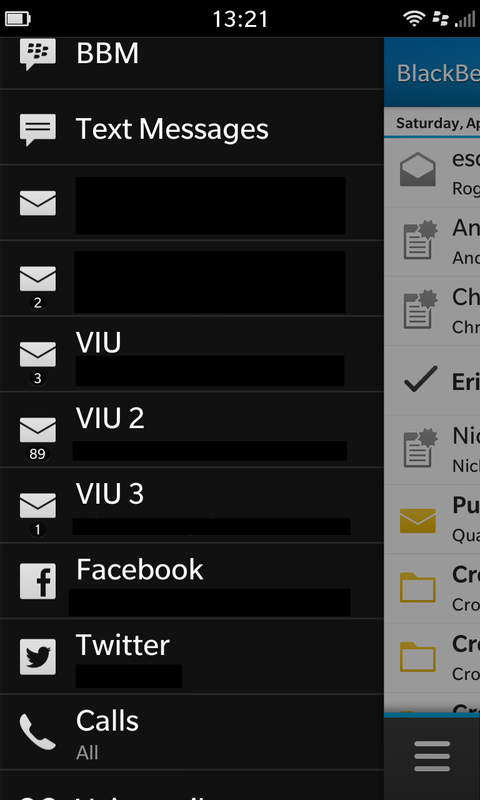 If that happens my Exchange account ends up disappearing from the configured mail accounts list on the device but it still shows in the Blackberry HUB. Even the e-mail is still all there but when you try to load a message it say “Could not display this message”. The only way I’ve found to get rid of the phantom mail accounts is to wipe the phone and set it back up again from scratch. Of course if your battery dies, you reboot the phone or have to pull your battery you’ll end up in the same situation again. Hardly seems worth the effort. I’ve also tried reloading the Blackberry HUB by swiping diagonally from the top right to the bottom of the screen a few times. This did not help. I tried backing up my device using Blackberry Link, wiping it, restoring the backup and that cleared up the broken accounts while putting all my data back. Problem was after the restore I could no longer launch Lastpass. Even if I deleted Lastpass and re-installed it from App World I still could not launch it. I then had to wipe the phone again and skip restoring from my backup. I’ve contacted Rogers and they are putting me in touch with their support reps that can actually talk to RIM. I’ll update this post if a resolution is found. Posted in Blackberry, Exchange 2003, Windows Server, Z10.